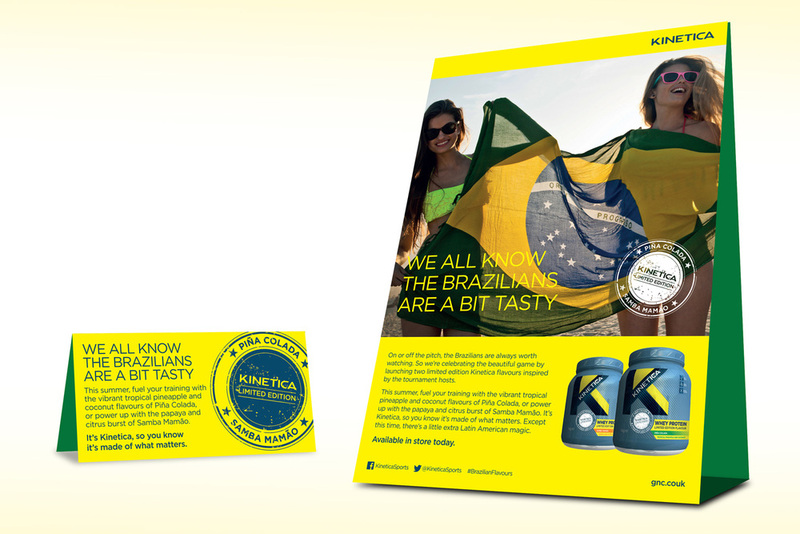 Kinetica is a leading sports nutrition brand offering the latest innovations in sport and fitness supplements. 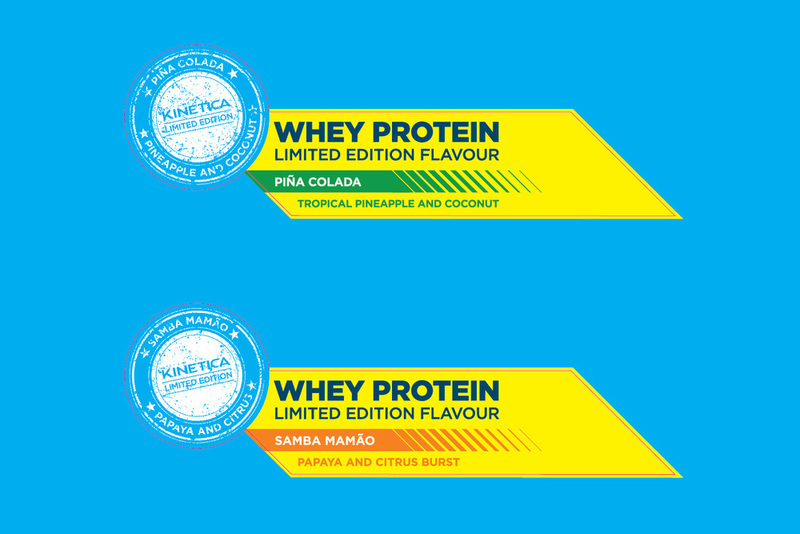 The company launched a limited edition range of World Cup-inspired flavours sold exclusively through GNC online and in-store. The project involved on-pack designs, teaser ad and reveal campaign supported in-store POS.